I've always loved plants, gardens, and all things succulent. I illustrated veggies, fruits, nuts and roots for San Diego Home Garden Lifestyles magazine for 8 years. Spend the day learning how to capture and record the details of nature that we sometimes overlook. Plants, stones, pods and other nature structures have amazing shapes that are decisively intriguing things to draw and paint. 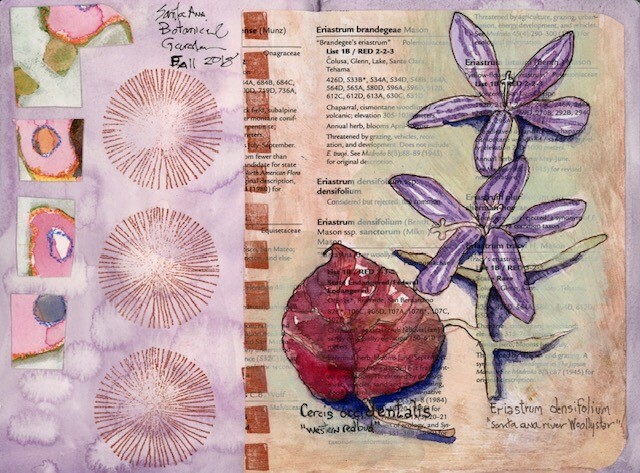 Discover ways to document nature findings in a watercolor journal to hold onto and paint in every year. We'll organize the pages by seasons and develop a phenology wheel for the months of the year. 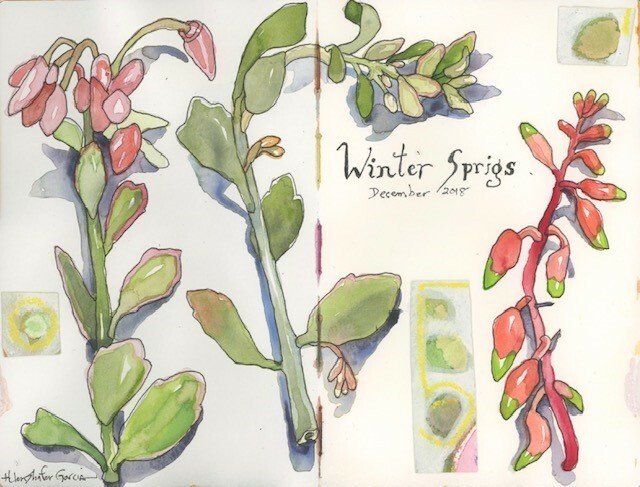 Express yourself with verse, notations, curious observation, and paint while learning to draw with confidence. 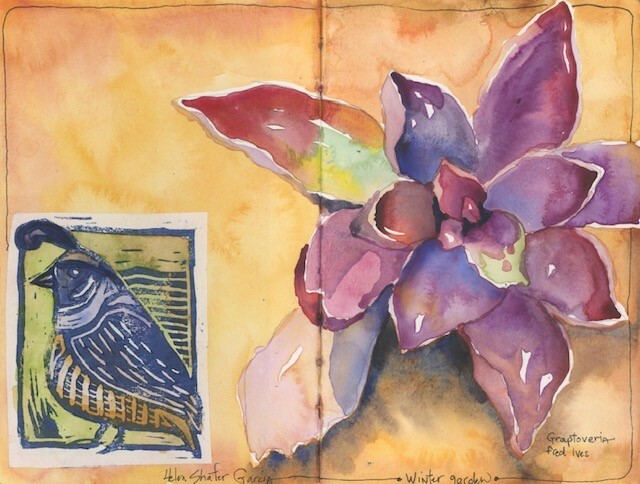 8.25" x 5.5" or larger 90 weight (or heavier) journal for watercolor or mixed media. I recommend Global Art Hand Book Travelogue hardbound watercolor large Portrait journal, 8.25" x 5.5" or 8.25" x 8.25" (Cheap Joes), or Stillman & Birn mixed media Portrait sketchbook-Zeta or Beta series soft cover or hard 8.5" x 5.5", or Moleskine watercolour Portrait album 5" x 8.5" Avoid Strathmore watercolor paper - you won't get good results with it.